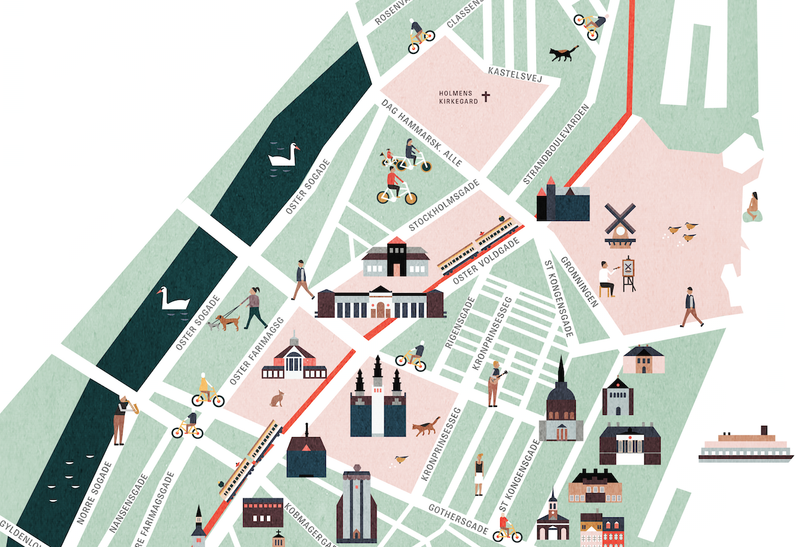 Map illustration of the city center of Copenhagen, Denmark. 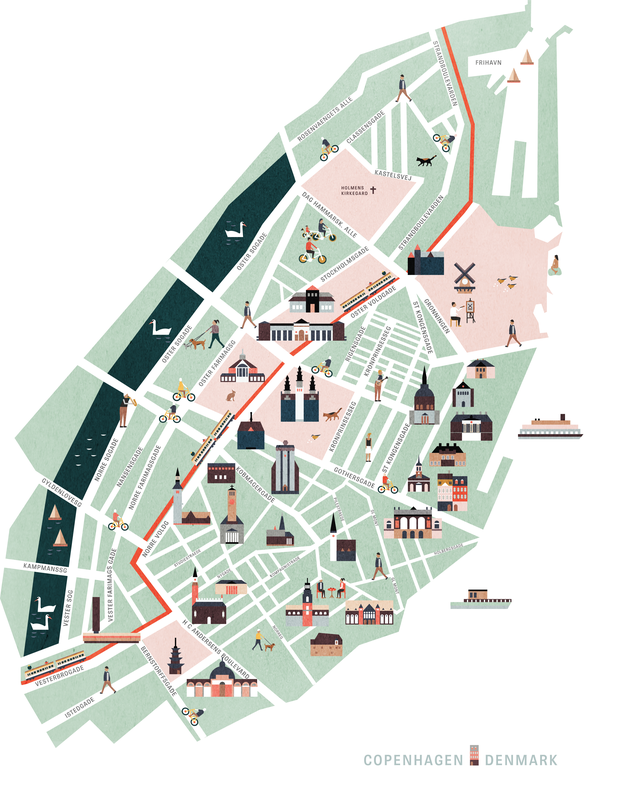 Inspired by old city maps from 1960-1970. I am a freelance illustrator based in Amsterdam. Please do not hesitate to contact me!